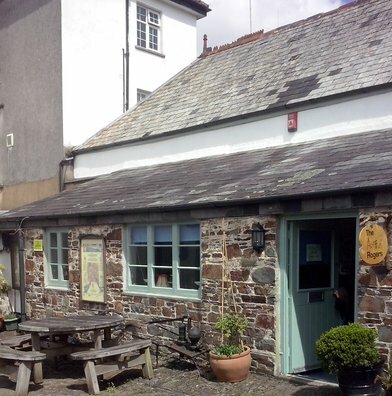 The Artful Rogers is a craft shop in Okehampton set up by Jenny and Amy Rogers, a mother and daughter enterprise. They produce an eclectic mix of hand- made crafts including ceramics, vintage cake stands, crocheted chairs, up cycled mirrors, lampshades and more. The shop is also stocking the Feel Good Friends range , Amy's award winning educational games that help children to feel good about themselves and their world. 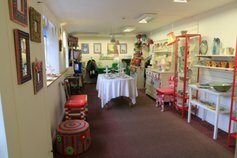 Most of their items are 'one offs' So If you are looking for something a bit different or a unique gift for someone special, pop in to The Artful Rogers, next to the Museum of Dartmoor Life.